THE NORDIC TENT will celebrate the 100th Anniversary of the Influential 20th Century Grande Dame of Danish ceramics Gutte Eriksen (1918-2018) and her influence both on her immediate contemporaries through her teachings at the Jydske Akademi: such as Inger Rokkjaer, Hans Vangsoe, Anne Floeche and Kim Holm, but well into the 21st century, and also through her widespread international exhibitions in Japan, France, Great Britain, Sweden, Germany. Holland, and notably in the USA, where she taught for more than a year. Her work is likewise to be found in most of the leading collections and museums, including the V & A. A carefully selected body of her work has been sourced from a private collection in Denmark showing the breadth of her work over the years, as well as work by her erstwhile students as mentioned above. Presently plans are in progress for a major international exhibition, in Spring 2019, of her work and influence including contemporary Danish ceramicists. Attending ceramicists are Dorte Visby with a stunning new collection of saggar fired lidded jars – like carved out of the very nature that surrounds her and other new work. Simon Kofoed, new to The Nordic Tent last year, is returning with his delicate and translucent bowls and innovative lighting. 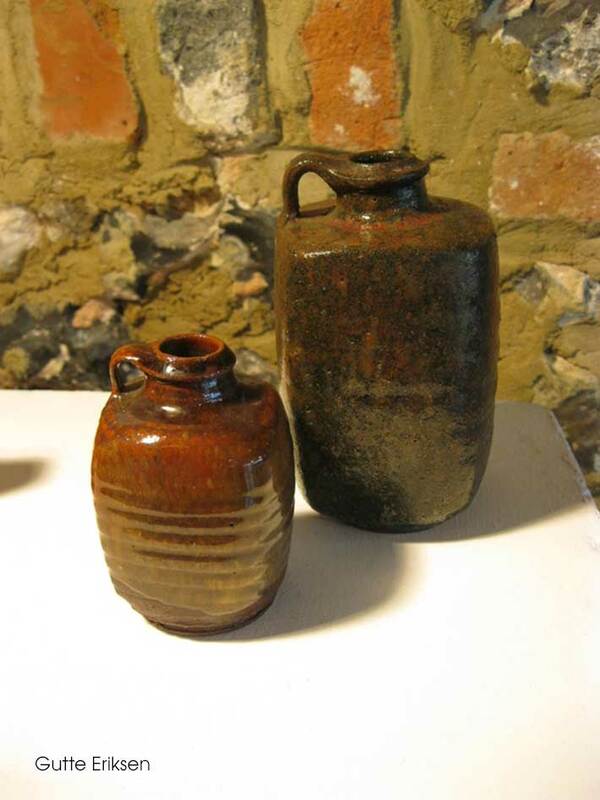 Laila Stenderup with her astounding glazes and lively functional ware. Another returnee is Jan-Kaare Myklebust with a body of new functional porcelain ware, beautifully crafted with a classical Nordic twist. Aila Simpson with her colourful plates/dishes and innovative figurative work. New to the gallery section in the Nordic Tent this year will be work by Asger Kristensen with new beautiful volcanic glazes recently developed on bowls and tea bowls. Nina Goetzsche is returning with truly amazing glazes on plates and chargers, conjuring up the sun and sky over one of Denmark’s nature landmarks , The Limfjord . And last but not least there will again this year be THE GUEST OF THE DANES – American ceramicist, Kat Wheeler – as well as a selection of Nordic Ceramics both 20th and 21st.